They grow on trees. No, they really do. Three pairs of basic crocheted fingerless mittens, made for my father, my mother and my yarn guru Liz. 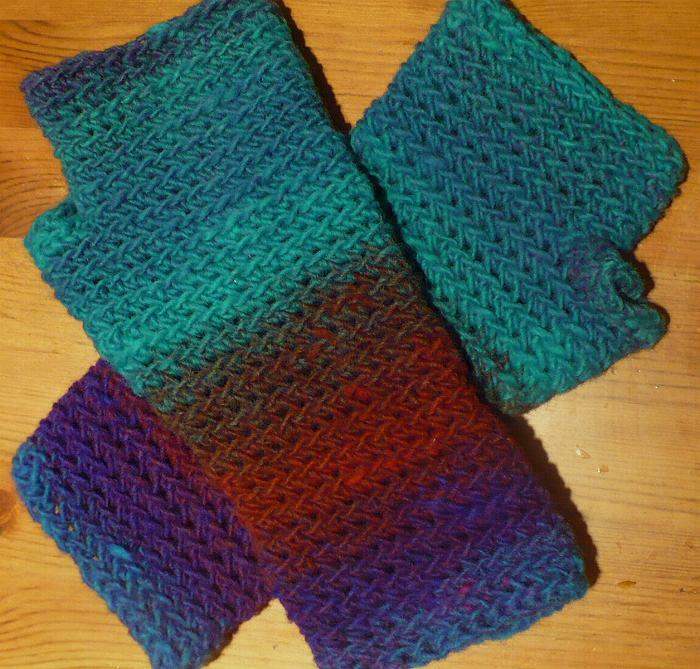 The pair made for Liz required much fussing and faffing with two not-quite-matching skeins of Noro Kureyon to produce the near-identical twins you see here. 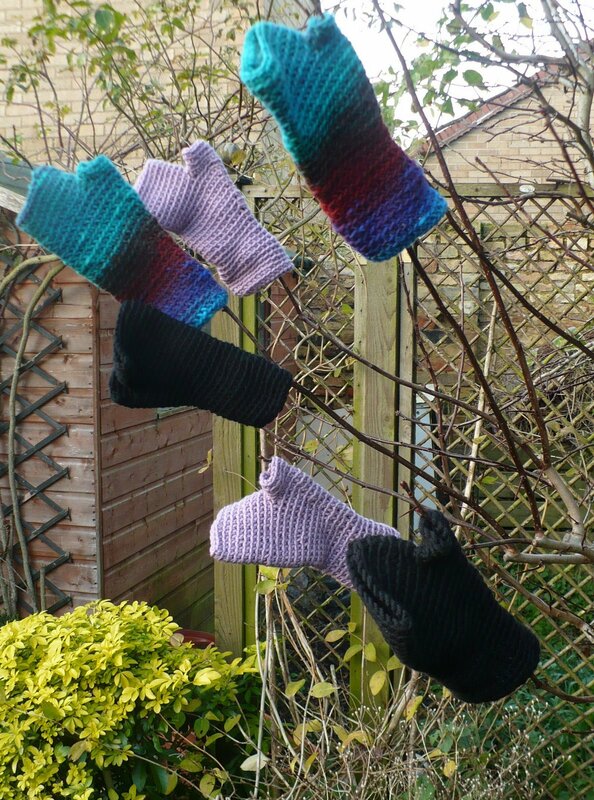 I do wonder whether any of my neighbours witnessed me hanging hand-crocheted mittens from trees; and, if they did, whether they were at all surprised by my behaviour. By now, one likes to imagine they were not. I want one of those trees in my garden. I’ve given up trying to match Noro.Happy New Year! What an unusual tree. Do you have one that grows thick fleecy warm coats and boots???? Happy New Year to you and yur family. Where did you find a pattern for CROCHETED mitts?! I’m clearly not checking in at Ravelry as much as I should! They’re great! The matching effort was fully appreciated, as I think I said on e-mail – something in my mind doesn’t really deal with non-matching mitts/socks… Thankyou again.Also I am both a guru and a tag. I’m truly afraid now.